WARNING: Rubbing elbows with 1-26er's may cause a life long affliction with "Soaring Dementia". Since there's no known cure, it's recommended that you join the 1-26 Association support group where you'll find others who share your affliction and are understanding of it's effects. 1-26 News You Can Use. The Condor 2 team has just released a 1-26 for use in Condor 2. I imagine 1-26 association members will like flying the 1-26 in Condor 2 as much as I do! Condor 2 is $65. The 1-26 is available as an Add-On plane for $12. 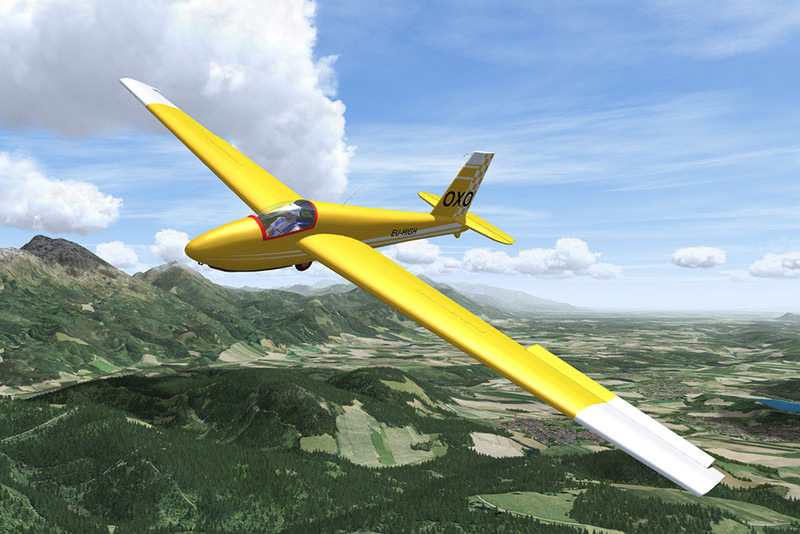 The Association is formed for the purpose of stimulating interest in, and promoting the sport of soaring in the Schweizer 1-26 sailplane; to establish standards for competition in the 1-26; to establish categories for record flights made in the 1-26; to disseminate information relating to the 1-26 and flights made in the 1-26, and to give recognition to its membership for accomplishments related to soaring in the 1-26. The Association's goal is to foster the helpfulness, the camaraderie, and the opportunity for head-to-head competition that is found in One Design groups in sailing. It is an organization of people who share the common ideal that soaring should be fun, not frantic - people who include pilots, families, crews and others who are interested. Membership is open to everyone. Owning a 1-26 or being a pilot is not required. The Association has evolved a whole range of challenges and rewards to fit the ambitions of pilots at all levels of experience and skill. It has, for example, special recognition for those who complete FAI badge legs in a 1-26 with a very special Roll Of Honor for those who complete all three Diamonds in a 1-26. The Sweepstakes is an all-year X-C competition that lets you fly at the time and place of your choosing against pilots of comparable experience levels. It provides an opportunity to pit your skills against the best in your division - on your own home turf. The Association maintains and publishes Regional (including Canada) 1-26 records which, are essentially the same as the SSA State Records. Categories and classes include speed triangles, distance tasks, absolute altitude and altitude gained for each class (Open, Senior, Feminine and Junior). A multitude of local, regional and other trophies and awards are available to honor the best accomplishments of all our"achievers". The longest straight-line flight of the year is especially honored with the H. Marshall Claybourn Memorial Award. The 1-26 Championships is the high point of the year for many pilots. Open to any 1-26 pilot in the world, the winner is indeed the 1-26 World Champion. Since team flying is encouraged, the highest scoring team is designated Champion Team. 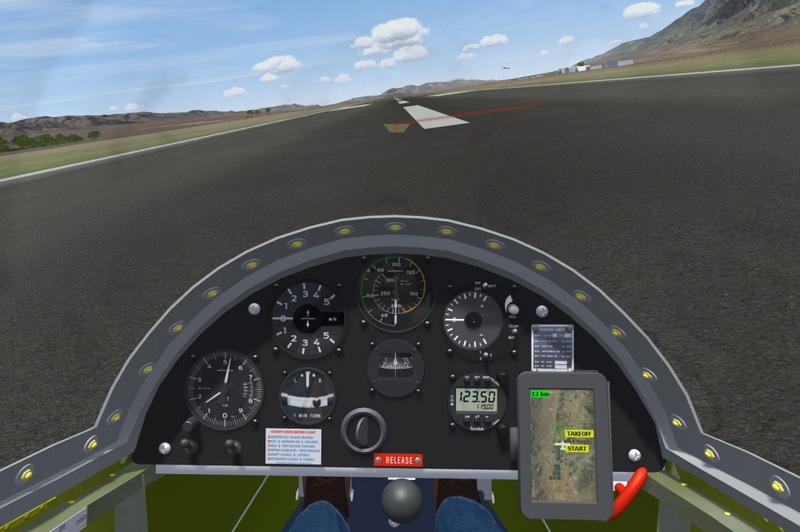 Numerous local and regional competitions throughout the year give pilots and crews a chance to break into competition in a low-key environment before going for The Big One . Soaring is exciting, it's relaxing, it's challenging, and it's fun - we know the 1-26 is the most fun. We'd like to have you join the 1-26 Association. Annual dues for individuals are $15.00 and family members at the same address are $5.00 each. For informationon joining the 1-26 Association, click on the information listed below, or contact the Secretary / Treasurer. "One can never consent to creep when one feels an impulse to soar." If you have problems, questions, comments or suggestions email the Webmaster.